Notes: Yeniyurt Castle (Turkish: Yeniyurt Kalesi) is a castle ruin in Mersin Province, Turkey. The ancient name of the castle is not known. Yeniyurt is the name of a nearby village.The castle, now mostly in ruins, is noticeable for the non standard construction material. 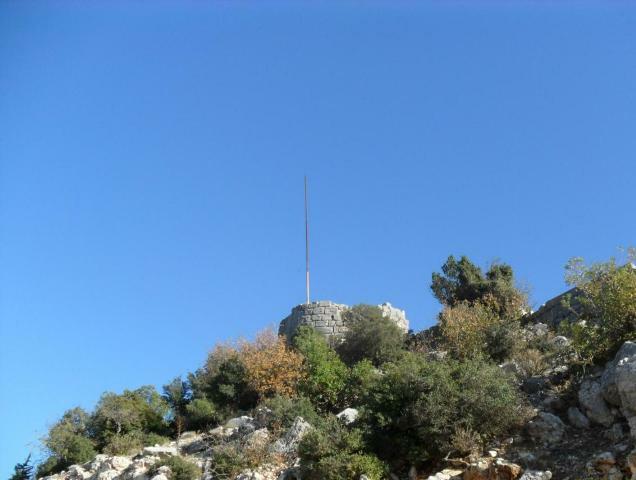 It was a Hellenistic castle built to control the valley during the ancient ages. But later on it was reconstructed by the Byzantian Empire or the Cilician Armenia in the Medieval age. There are traces of three towers, a necropolis and a basilica as well as some houses.